I would simply call it the underside of the table. The underside of something is the part of it which normally faces towards the ground. This part is called an apron. Another name for it is the "skirt" or "skirting". 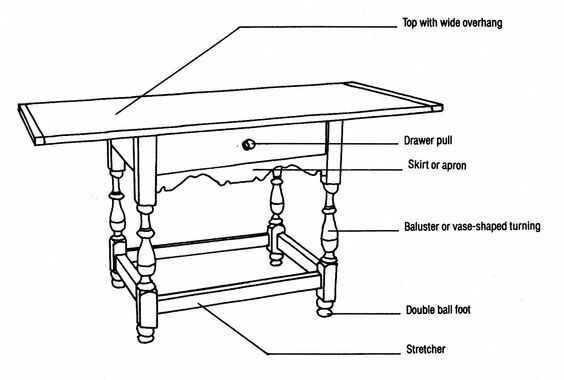 If you are referring to the surface opposite the working surface of the table, we often simply call it "under the table". As in "Jimmy had the bad habit of sticking his chewing gum under the table". 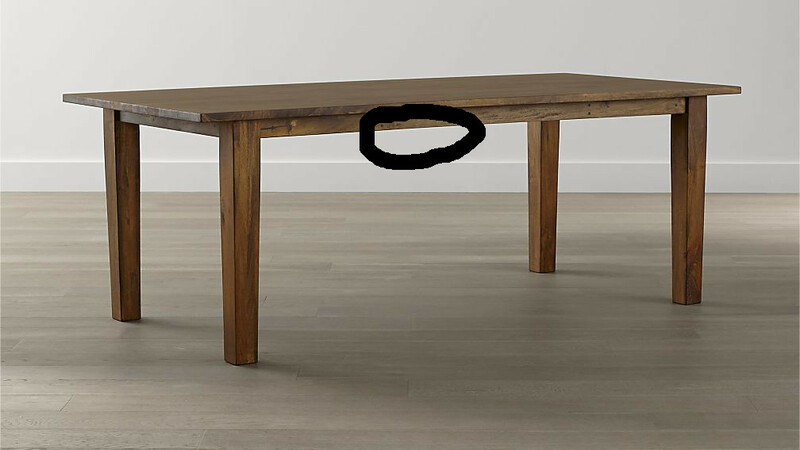 If you think this is ambiguous and could as easily refer to anywhere under the table, such as the floor under the table, yes it is. Usually it is obvious from the context what is meant. For example, "the cat is under the table", but if it was, say, a gecko, then it might still be ambiguous, so "the gecko is on the underside of the table" would be better. What do you call this object? What do you call the sharp end of a slide (slide as in playground)? What do you call the minutes and seconds displayed on YouTube videos (as an unity)?